Jammu University has released first semester result for BA, B.Sc., B.Com., BBA, BCA, BA English (H) and B.Com. (H) CBCS Private examination 2018. Jammu University has released first semester result for BA, B.Sc., B.Com., BBA, BCA, BA English (H) and B.Com. (H) CBCS Private examination 2018. The result is available on the official website. Out of the total 15185 enrolled students, 2881 have passed the examination. The pass percentage, hence, is 18 per cent. Out of the total students who have passed, 3 students have managed to score grade A. 10259 students have been placed in reappear category while 1341 students have failed. 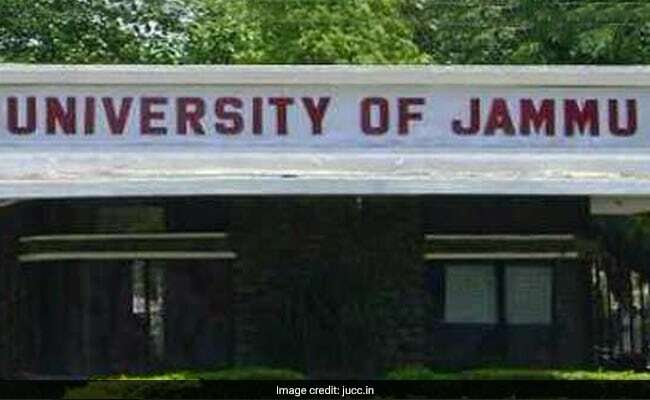 Jammu University UG First Semester Result 2018: How to check? Step one: Go to Controller of Examination, Jammu University website: www.coeju.com. Step two: Click on the result link for UG First semester exam. Step three: A new window will open with link to download result pdf. Step four: Click on download and download the result pdf. In the result pdf, students can check for their roll number to know their result status. Students will have time till January 15, 2019 to apply for re-evaluation. Those who miss the deadline will be given a second chance to apply for re-evaluation with late fee till January 18, 2019. The fee for re-evaluation is Rs. 740. The form shall also be accepted with a late fee of Rs. 410 (or as notified from time to time) per answer script for another count of 3 days, Late fee of Rs. 850 will be charged for late entertainment of application form for re-evaluation for another count of 2 days after the expiry of count of 3 days with late fee.